WE LOVE NEW YORK FASHION WEEK! Inspired by the Vera Wang show we attended in New York on Tuesday, we thought it fitting (!) 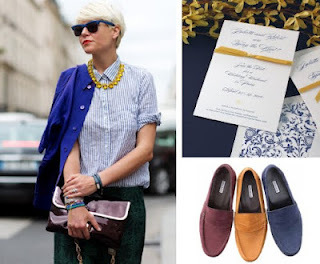 to check in once again on the street-style fashion blog The Sartorialist. What might some of these fabulous women select for their wedding invitations from among the William Arthur and Vera Wang collections? For fun, we’ve added some Vera Wang lifestyle accessories and footwear to further imagine their styles. TRES FABULOUS. Amazed? We are! William Arthur Black Invitations with White Foil and Vera Wang Natasha mid-calf boots. So her, right? to toe. 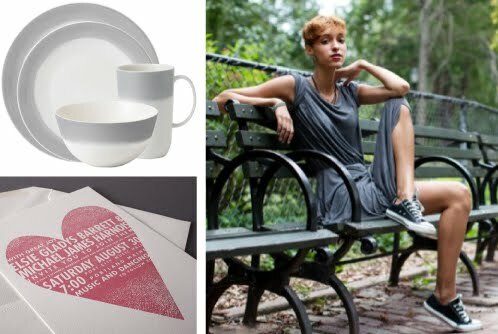 Bet she and her sweetie would go for the Vera Wang Letterpress Heart Invitation and Wedgwood Simplicity Ombre dinnerware. 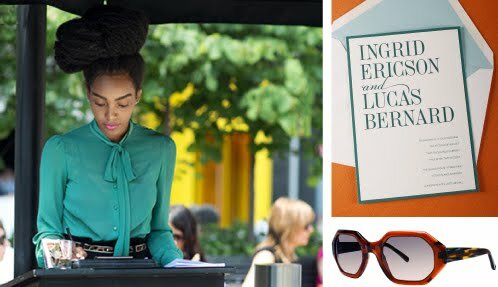 Vera Wang Teal Layered Invitations and Audran sunglasses reveal this knockout's true colors. 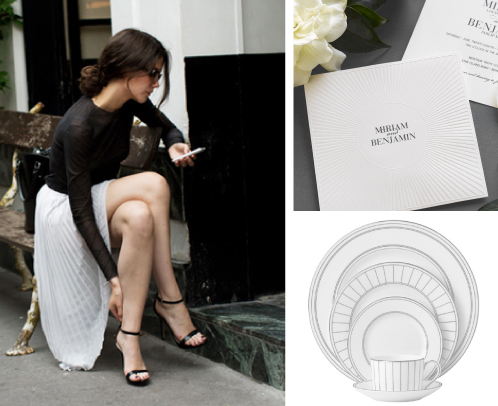 View the full offering of William Arthur and Vera Wang invitations here.